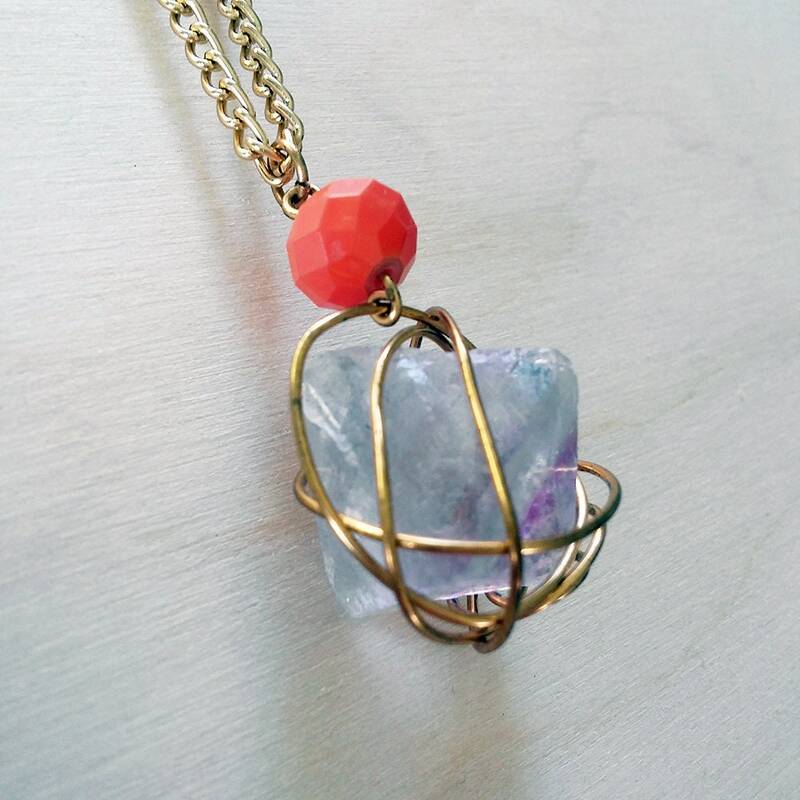 Soft purple fluorite is caged and suspended to create a simple, unique piece of jewelry. 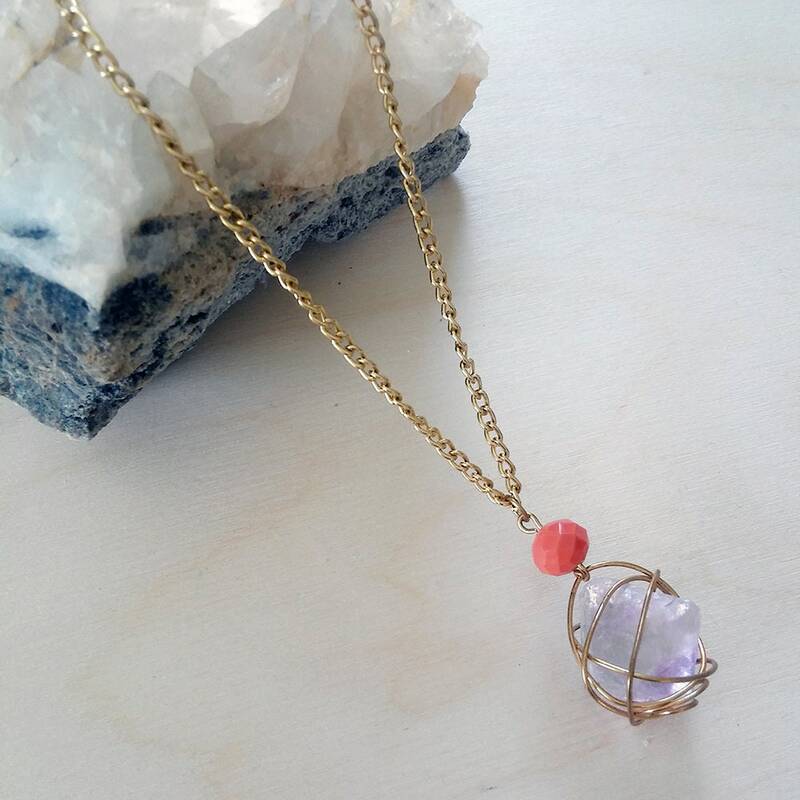 Perfect for layering. 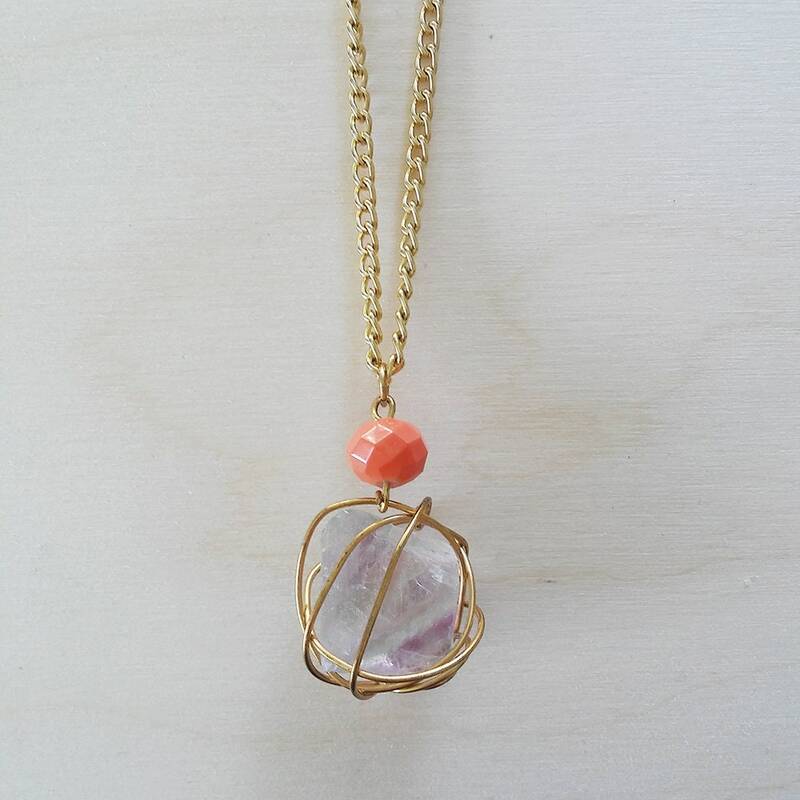 This piece is accented by a faceted orange bead, and a peace charm. 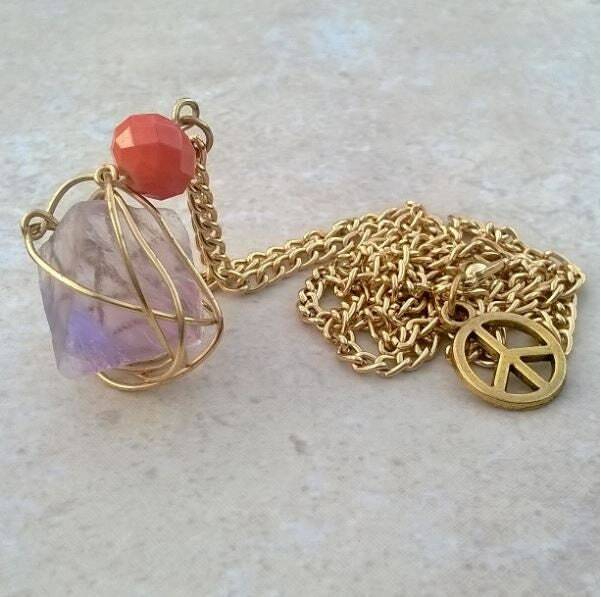 Chain measures 22.5" in length, Pendant measures 1.25" x .75"